As the days grow longer and the sun warms the air, it is a welcome sign that spring is here! What better way to spend your extra time than outside in your garden? Today, with the help of some expert advice from our fantastic book Grow Your Own Vegetables, we look at the merits of growing your own vegetables. If you're interested in starting a garden, or just looking for something new to try, consider starting a vegetable garden! The fresh crunch of a home grown carrot or the satisfying sight of a salad you grew yourself are tantalisingly tempting. Putting taste and nutrition aside, having your own vegetable garden is simply cheaper than buying from a store. Little Gem lettuce seeds are as cheap as £1.50 per 120 seeds. You could potentially grow 120 lettuces for the price of £1.50, but if you bought 120 Little Gem lettuces from the store, you'd spend £45! You can even harvest the seeds from this years crop and save them for next season, saving you even more. Gardening is not only good for your wallet, it is good for our planet. The convenient food at the shops travel thousands of kilometres to get to the store, and even more to get to your plate. In the UK, food travels 30 billion kilometres (18.6 billion miles) each year and is responsible for the UK emitting nearly 19 million tonnes of carbon dioxide into the atmosphere each year. Top Tip: Don't waste money on expensive tools! Borrow from neighbours or other gardeners. Offer some of your crop in exchange for a loan of tools! Growing your own vegetables cuts down on your own carbon footprint, and the results are more nutritious and delicious. The high demand for cheap food forces farmers to resort to using chemicals to replenish the soil with nutrients. Ideally, farmers let one field remain fallow, or unplanned, for a season to allow the soil to restore itself. This creates more nutrients for the veggies to absorb and for us to consume. Using chemicals to speed up this replenishing process lowers the nutritional value of the veg. With the freedom to allow your own garden to restore itself and the ability to control what chemicals go into your food, you can ensure your veggies are full of nutritional value! Growing your own vegetable garden will also dramatically reduce your food waste, and the waste that accompanies buying veg at the shop. According to WRAP, the average household in the UK throws away one third of the food it buys, which amounts to 6.7 million tonnes of food each year. Growing your own garden will allow you to pick exactly the amount of veg you need when you need it. If you have excess vegetables, you can share the wealth or sell your crop at local markets. Vegetables have nutrients that help our bodies stay fit and healthy. Due to chemicals and farming practices today, it takes many more servings of veg to give us the same nutritional value of 50 years ago. Growing your own will ensure you get the maximum benefit out of your vegetables. 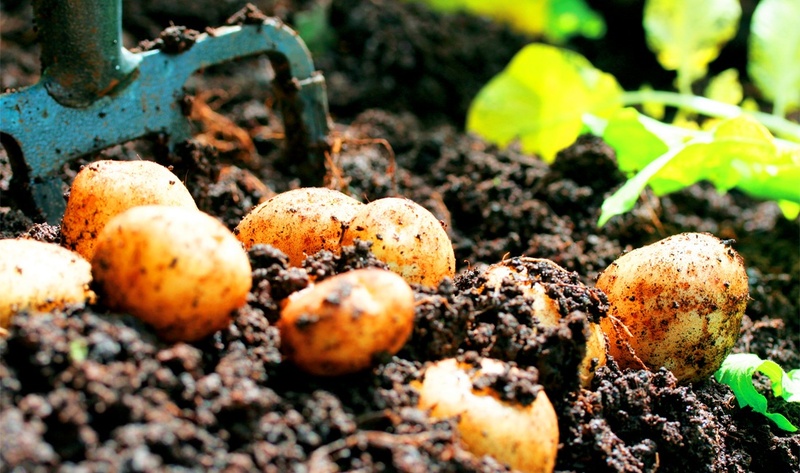 Spending a few hours a week with your hands in the soil will benefit you in many ways. Sunlight provides us with valuable vitamin D and the act of digging and planting can be as relaxed or as strenuous as you like. 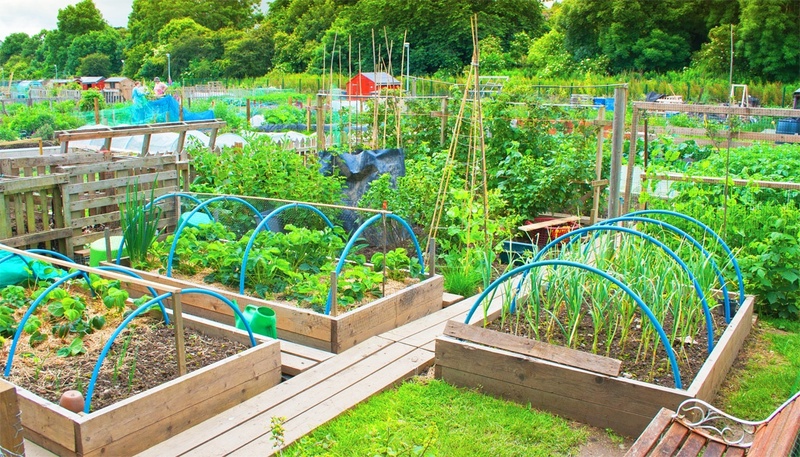 Growing veg is a great way to get some exercise in, or get the kids away from the TV! Give your children a special space in your garden for and help them grow some veg of their own. Seeing the tiny seed blossom into something edible will create a sense of pride and wonder, and may even encourage them to try different foods. 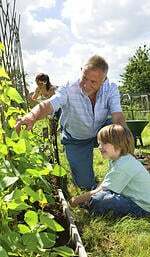 Working together in the garden is great family time and provides some quality time together that will make good memories. Go out, grab a shovel and a packet of seeds and see what you can grow! The satisfaction of picking food you grew yourself is worth the time and effort. You wont need to rely on the shops for vegetables and they will taste better from your own garden! This post is based on content from our book Grow Your Own Vegetables by Rachelle Strauss (ISBN: 978-1-78361-133-1). This title is part of our Digging and Planting series–new in stock! Order it from our website here or on Amazon here. Check out our previous blog on planning and designing your garden! Find some tips on what to plant in your food garden this Spring here. You've grown a bunch of vegetables, now what? Find some helpful recipes here!